The purchases optimisation is built on the setting up of automated processes combining best practices and a dedicated technological solution. Without automation, low value-added administrative tasks, re-entries, and mistakes accumulate and represent significant indirect costs. Investments are rapidly profitable in an optimised process compared to the costs generated by the placing, follow-up, receipt, invoicing, and payment of non-automated orders. According to La Lettre des Achats, (Procurement specialised publication), an indirect purchases order has a cost of €36 for an optimised process instead of €73 for a non-automated process, which represents a saving of over 50 %. So, there are some sources of productivity at the heart of the purchase process beyond the methods of purchasing negotiations. 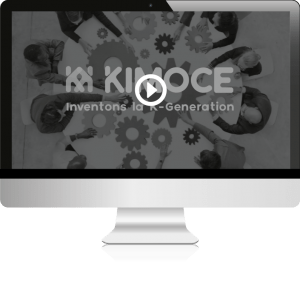 KIMOCE Purchasing software allows to simplify, to automate, and to steer your whole purchasing value chain. Dematerialise your purchase process from expression of the need to invoicing.